The Seattle Seahawks were established in 1976 when the franchise joined the National Football League as an expansion team. The Seahawks main rivals are the teams that make up the NFC West and AFC West. The Seahawks spent 25 years in the AFC West from 1977 to 2001 and joined the NFC West in 2002. Because of this, the Seahawks are the only NFL team to play in both the AFC and NFC Championship Games. The team colors are navy, green, grey and white and the mascots are named Blitz and Taima the Hawk. The Seattle Seahawks are owned by Paul Allen, who purchased the team in 1997. CenturyLink Field is the home of the Seattle Seahawks and it opened in 2002. CenturyLink Field currently seats 67,000 spectators. The Seattle Seahawks are a member of the National Football Conference of the National Football League and compete in the NFC West Division. The Seahawks won the NFC Championship in 2005 and lost to the Steelers in Super Bowl XL. Watch Seattle Seahawks Online – Find out how to watch the Seahawks game online. Listen to Seahawks Radio Seahawks Radio Network online streaming play by play. Seahawks.com – Official site of the Seattle Seahawks. Seahawks All Access – Watch Seahawks replays and highlights online. Seahawks Google+ – Official Google+ of the Seattle Seahawks. Seahawks Facebook – Official Facebook of the Seattle Seahawks. Seahawks Twitter – Get your tweets directly from the team’s headquarters. Seahawks Pinterest – Official Pinterest of the Seattle Seahawks. Seahawks Instagram – Official Instagram of the Seattle Seahawks. Spirit of 12 – The Seahawks 12th Man fan club. Seahawks Promotions – Sign up online to win free Seahawks stuff. Seahawks TV Schedule – Find out what time the Seahawks game is on TV. Seahawks TV Distribution Map – View the NFL games that are televised in the Seattle, Washington television market this week. Check to see if the Seahawks game is blacked out. Make sure local NFL TV blackout rules don’t affect how you watch the game. Get your fill of NFL football this season. The NFL Football Online researchers prepare information about your favorite NFL teams and provide you with unlimited access for free. 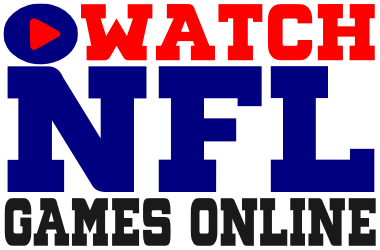 Find NFL game streams, updated TV schedules, weekly distribution maps and more.